Providing the highest quality medical care in northern India, Medanta - The Medicity is one of the nation’s most renowned multi-specialty, tertiary-care hospitals. The reliability of Mitsubishi Electric elevators was the deciding factor in its adoption for this facility. Providing users with the “peace of mind” confidence, Mitsubishi Electric is helping the hospital achieve its goal of delivering the “ultimate hospitality” to patients, staff and visitors. 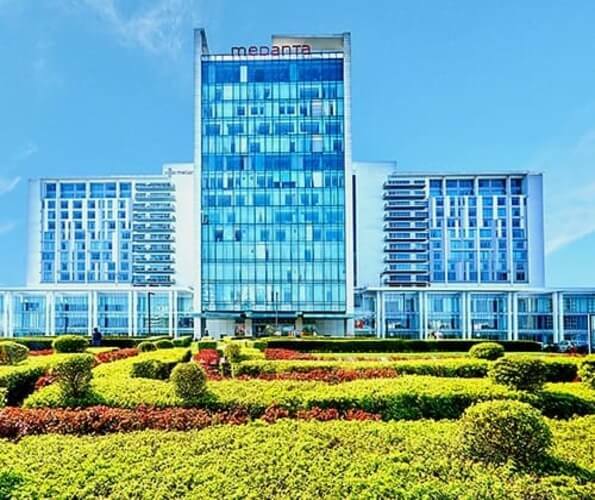 Located in Gurgaon, a bustling town in the National Capital Region, Medanta - The Medicity is a multi-super specialty institute featuring cutting-edge technology and state-of-the-art infrastructure to support the provision of life-saving emergency medicine and multi-disciplinary medical care. It has 1,250 beds and 10 ICUs with over 350 critical care beds. Soaring above the huge greenscaped site, the contemporary glass façade of the building welcomes throngs of patients, hospital personnel and visitors with the hospitality of a spacious ground floor lobby. The site on which the 2.4 million sq. ft. hospital building is situated also provides ample space for beautifully landscaped green lawns and trees from the perspective of medical care and allows hospital patients to enjoy a verdant view from their window. For everyone from patients to hospital personnel and visitors, this is truly a sanctuary of healing and wellness. Every floor of the hospital from the ground floor to 14F is functionally arranged to streamline the provision of compassionate specialty medical care. In this beautifully designed building that is matched by outstanding medical services and the highly advanced treatments demanded by multiple specialties, patients receive the highest standards of healthcare. All day the central elevator bank on the ground floor is in full operation shuttling patients, staff and visitors between floors, with an uninterrupted queue of patients waiting to use the elevators to visit the Outpatient Departments (OPD) of the hospital. 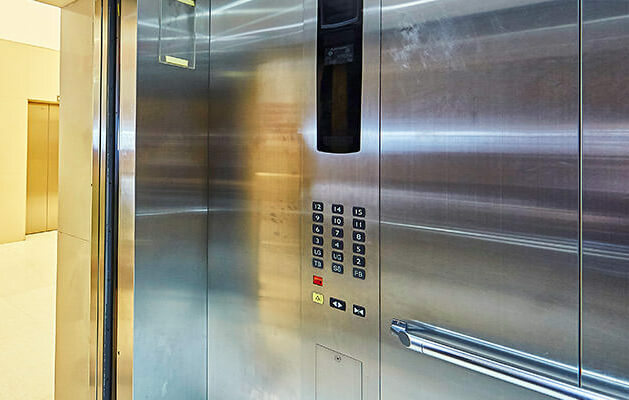 A total of 40 Mitsubishi Electric elevators are entrusted with this vital role of moving people to their destination. Spacious elevator car design provides plenty of ceiling height and the depth and width to comfortably accommodate passengers. These elevators feature an elegant design that complements the Indian architectural ambience and remarkably quiet operation. While these features are essential for Indian hospitals, above all Mitsubishi Electric elevators meet the strict safety and reliability standards for elevator performance demanded by an emergency care hospital where even a moment’s delay in transportation is unacceptable. The director’s remarks after installation indicate that his trust in Mitsubishi Electric remains unchanged, if not stronger. 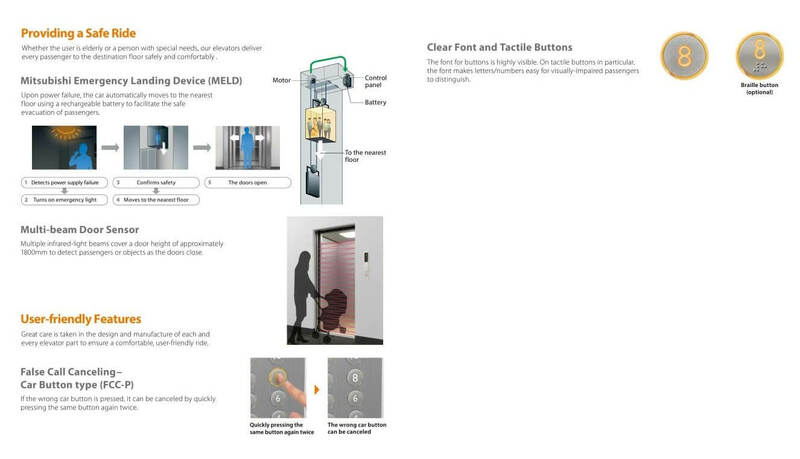 Day in and day out, Mitsubishi Electric elevator systems continue to earn the trust of their owners. Many world-famous hotels and the corporate office buildings of leading corporations in India including OBEROI Hotel, TAJ Hotel, INFOSYS and TATA Consultancy Services [TCS] rely on our elevator systems, and sales continue to grow. In 2014, the debut of the NEXIEZ-LITE series added an optimum elevator system choice for the growing low- to mid-rise residential property market. 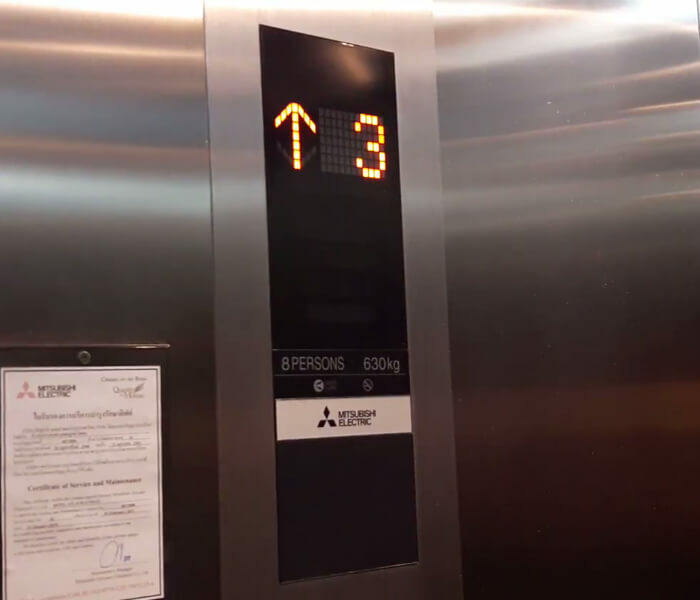 In the years ahead, you can expect to see the triple diamond logo of Mitsubishi Electric more and more every time you board an elevator in India. Safety and comfort matched by elegant design in harmony with Indian architecture define this advanced elevator series. 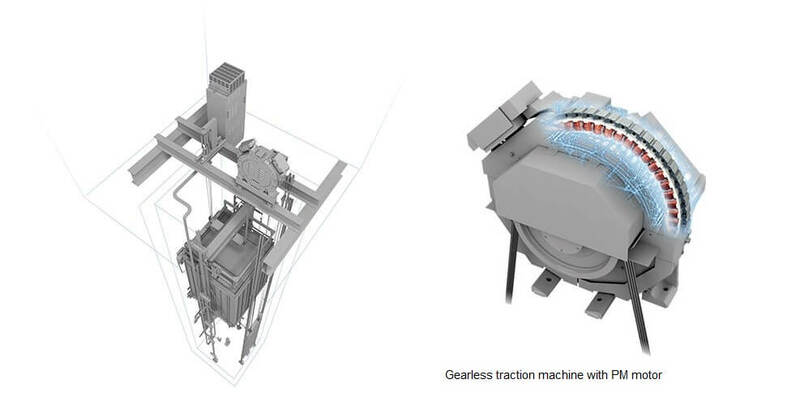 Adopting a gearless traction machine driven by a permanent magnet motor, this system provides reliable service with a 20% reduction in power consumption compared with conventional systems. In addition to delivering energy savings, the roomy passenger car interiors feature the ceiling height necessary to accommodate the needs of hospitals and other public facilities. 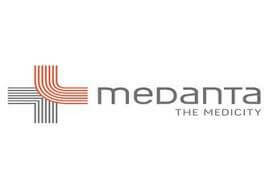 Medanta - The Medicity is the one of the largest multi-specialty, tertiary-care hospitals in Gurgaon, in northern India. It has 1250 beds and over 350 critical care beds plus 45 Operation Theatres and 10 state-of-the-art ICUs.